Venezuela’s President Hugo Chavez is alive and has returned home to Caracas following a fourth round of surgery in December for cancer. Venezuela’s President Hugo Chavez is alive and has returned home to Caracas following a fourth round of surgery in December for an unspecified abdominal cancer, carried out in Havana. Vice President Nicolas Maduro, who is running the country in Chavez’s absence, told Venezuelans on national television that he had accompanied the president on his flight back, along with Chavez’s daughter Rosa Virginia, his brother Adan and the president of the National Assembly, Diosdado Cabello. 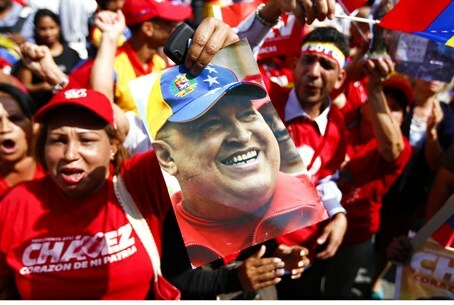 Since the first surgery in June 2011, Chavez has grown markedly weaker despite his insistence that he would be well able to continue in his role as president. Chavez won the country’s national election last October, but never made it to inauguration day, having gone through his fourth surgery in Cuba by that time. The government has remained silent on the question of the president’s prognosis.